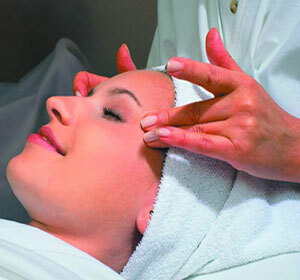 Facial exercise is the non-invasive approach to lifting and toning your face. Exercising the muscles under your skin increases the amount of oxygen to the facial muscles and helps rejuvenate the cells, giving your face a younger and healthier appearance. Just as people are realizing that exercise and toning the body as they age keeps them healthier, more people are recognizing that facial exercises can tone the muscles in the face. Apart from the above benefits that these exercises provide you they also relax your mind and make you calm. While you exercise make sure that you exercise the whole part of your face and include the following: eyes, forehead, lower and upper jaw, ears, neck and head. Regular exercise, eating healthy and drinking lots of water will go a long way in reducing those puffy cheeks and double chins.One additional cause for doing face exercise on regular basis is that it is very easy to do and can be done any where.It is as simple as applying make up. All you need to do is learn how to move your fingers to smooth and tone the face. We tend to get a lot of benefits of facial exercises and the most prominent feature of facial exercise is that they are free and can be done any where and at any time at your own convenience.It is literally possible to reduce or delay wrinkles without having to opt for the various expensive methods like surgery, beauty injections, and anti wrinkle creams. Regular face exercise remove the extra flab from certain areas. With aging process fat tend to accumulate in our chin area. Even in case of certain young people chubby cheeks and double chin take away their original facial beauty by spoiling the facial contour. 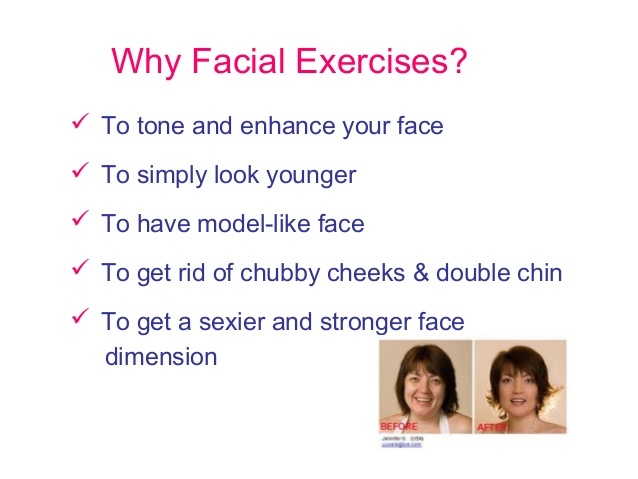 Regular face exercises target these areas and help in giving you a sculpted face. When it comes to making your face look younger and lovely facial exercises is what you should be going for. By doing simple and easy face exercises, one will greatly improve their self esteem and confidence. Like other forms of exercise the key is to do them regularly! I have stopped and started many times, but now I am in my mid-forties I do facial exercise at least 5 times weekly. If you stick at it, you do see results.